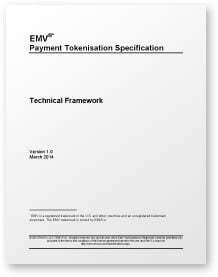 The first version of the EMV Payment Tokenization Specification has now been published and is available to download. The document sets the scene for the arrival of MasterCard, Visa, American Express, Discover, JCB and UnionPay transactions on a mobile phone using the widest possible range of “last inch” technologies. It also “provides an insight into the role the specification will have in facilitating broad-based acceptance of a payment token as a replacement for a traditional card account number. The new specification will also “maintain compatibility with the current payment infrastructure and will be complementary to the existing EMV chip specifications to ensure consistency across all payment environments.